While part natural ability, photography, like many things, is largely knowledge and persistence. In this case, natural ability is the photographer’s artistic vision and eye: their ability to look at objects and a scene and compose them in a way that is interesting and appealing. While lucky few are born with this ability, fortunately for the rest of us, most of it can be learned and much of it comes with experience. 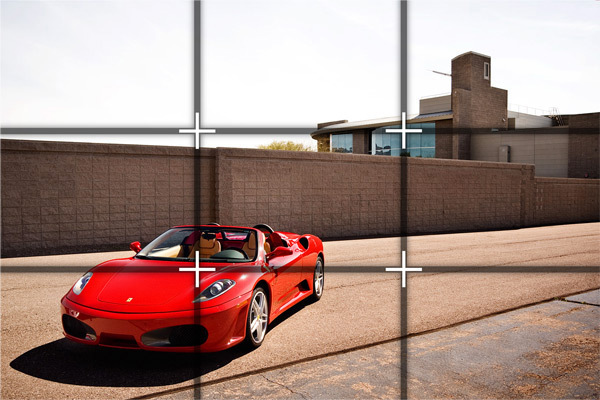 However, compositional understanding isn’t the only important knowledge for a photographer. Understanding how the camera’s settings, the environment’s lighting and any number of other things will affect a shot is equally important. The other most important part of the puzzle is persistence: simply getting out there, trying new things and taking photos. The number of photos I’ve taken over the past several years is well into six digits and I’m still learning new things and improving my abilities almost every time I get the camera out. If I didn’t feel like I was, I would stop taking photos. You may have noticed that I didn’t mention photography equipment as part of the equation. While quality gear will improve the photos of a quality photographer, far too often people fall prey to the notion that good photos come from good equipment while in reality, good photos come from good photographers. Put a knowledgeable, quality photographer with a cheap point-and-shoot up against a complete novice with $10k in full-frame digital gear and have them shoot the same scene. The better shot will come from the point-and-shoot every time. Besides, these articles aren’t intended to pixel-peep, complain about autofocus hunting or help you decide if you should go Canon or Nikon. With this series of articles I intend to pass on a little of what I’ve learned over the years, increase both your compositional and technical knowledge, explain things in a way that’s easy to understand and, hopefully, convince you to go out and take some photos. Regardless of the situation, subject or what you’re shooting with, there are a number of often overlooked, simple things that can drastically improve your photos. The three of these that I’m going to address in this article and how they directly apply to automotive photography are: the rule of thirds, being aware of your background and varying your photo height.